Federated Co-operatives, or Co-op as they are known to their customers, is a multi billion dollar company with over 3000 employees and over $7 billion in revenue in 2010. Their head office is based in Saskatoon, Saskatchewan and they have a number of offices across Canada. 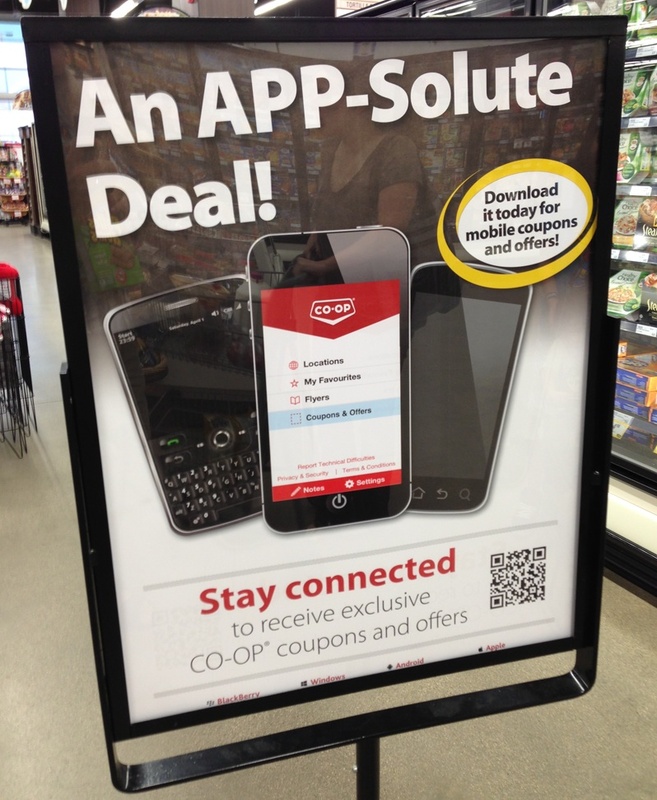 Co-op recognized the need to provide an app for their vast array of customers. 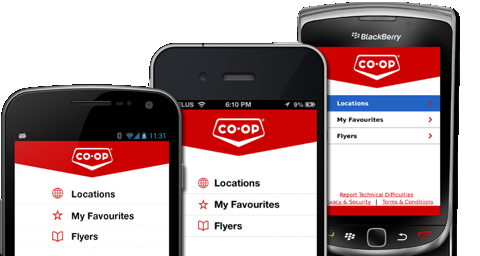 The app we developed for Co-op was for all their locations across Canada. 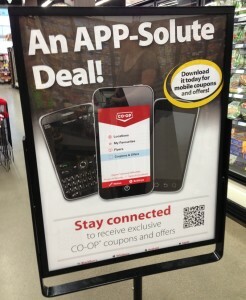 The Co-op CRS App offers features such as a locator that works no matter where you were in Canada, Coupons which can be redeemed just by showing them at the till, and flyers unique to each location. We worked closely with them to define what had to be shown in the app and what data was needed to make the app work across Canada. Working with a large organization, such as Federated Co-operatives, meant meeting with many stakeholders as well as the main contacts to design and build the application. The application is available for iPhone, BlackBerry, Android and Windows Phone platforms. Contact us if you would like an app developed for your store or retail space. Another Saskatchewan based organization is Affinity Credit Union that offers financial services to member as well as typical banking services. They wanted to offer their members a banking app that had typical banking features but also wanted to include a new innovative feature that would be useful to their members. The new innovative feature was DepositAnywhere which allows you to deposit a cheque from the app, anywhere, any time by taking a picture of it. Affinity, along with two other Credit Unions, was the first in Canada to launch an app with this innovative feature. None of the Canadians financial institutions had this feature before the Credit Unions and Push Interactions built Affinity’s application. Look for more innovations in the future from this Saskatchewan-based Credit Union. 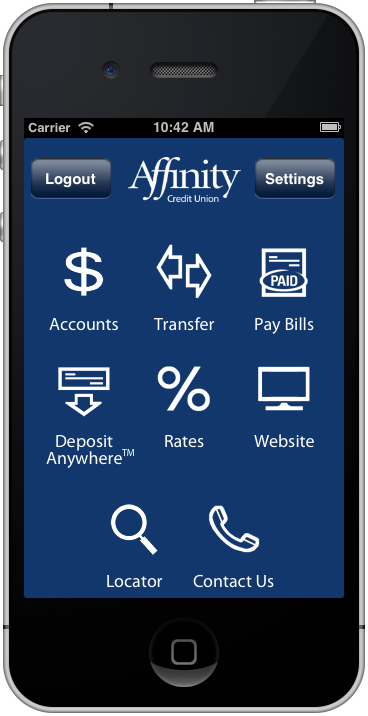 The Affinity Credit Union App is built for iPhone with Android and BlackBerry 10 coming soon. Contact us if you would like an app developed for your financial institution. NuuNest is another client that is also based out of Saskatoon, Saskatchewan. NuuNest is a company founded on the idea of two Registered Nurses/Lactation Consultants, Cindy and Jana, who have assisted over 20,000 families with their newborns in the first year of their lives. Over their many years of experience they continued to find that the same questions and concerns would come up over and over and there wasn’t a single source of information they could point parents towards. Instead they had to point to many different pieces of information, some on paper and some scattered around the internet. 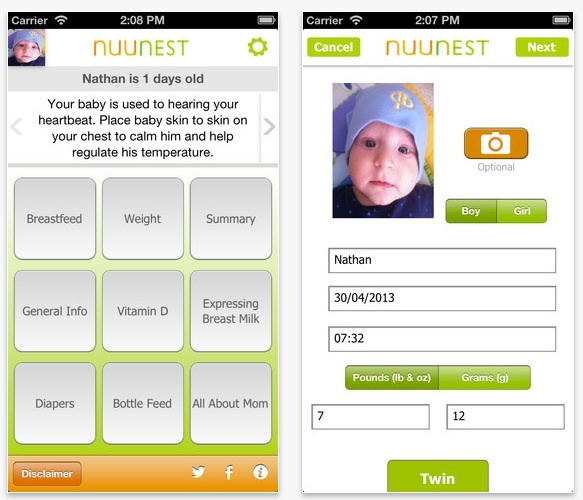 Their app, NuuNest, brings together all of the helpful information in one place, gives timely baby care tips based on the age of your baby and also allows parents to track feedings, diapers and weight to help ensure their little one is on the right track for development. The application is available for iPhone. Axon Development Corporation is another example of a company based in Saskatoon, Saskatchewan that needed a mobile app developed for its customers. Axon offers trucking software to trucking companies to help them keep track of shipments so the companies can get paid in a timely manner. By offering a mobile version of their software on iPhone, BlackBerry and Android phones it allows truckers in the field to enter in all the relevant information rather than having to wait until later to get paid. 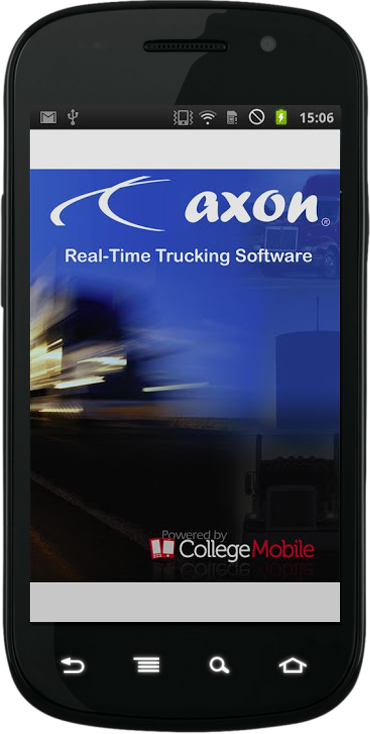 Axon’s trucking software is used extensively by trucking companies to help automate their workforce. Another great Saskatoon-based organization is the Saskatoon based Saskatoon Regional Health Authority that wanted to work with us to build RXFiles. RXFiles is a popular information resource in the medical community that allows doctors to prescribe drugs properly by knowing the correct doses and side effects of each set of drugs. RXFiles worked with us to help define what software format would work best for busy practitioners and help to make the app the best fit for their client base. 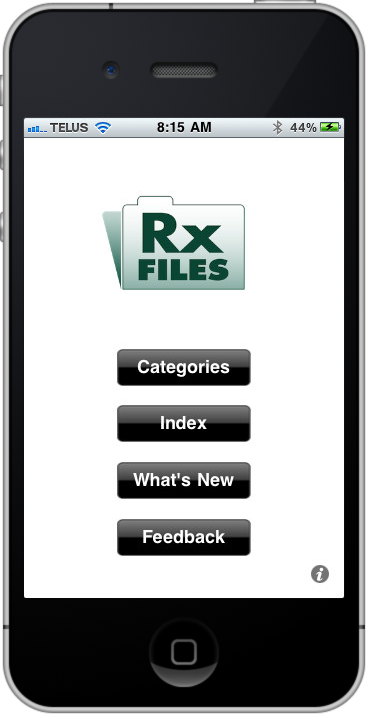 RX Files is available for iPhone, iPad and Android smartphones. Those are just a few of the applications we have built for companies based in Saskatoon, Saskatchewan. The above apps and all of the other apps we have developed shows our strength in building native mobile applications for all platforms. We build natively, even though it is more difficult, to ensure quality across the different platforms and that the app feels and acts as it should on each platform. It has been an enjoyable ride working on mobile applications for different companies based in Saskatoon and Saskatchewan and we look forward to working with other great companies in the future. If you have a great app idea that you would like our Push Interactions team to develop contact us. We are always interested in hearing your great ideas and figuring out how a mobile app can solve your business problems! We want to develop an app for our grocery store for online order. Are you able to do it? Please feel free to send me email or call me at 306-261-1835.